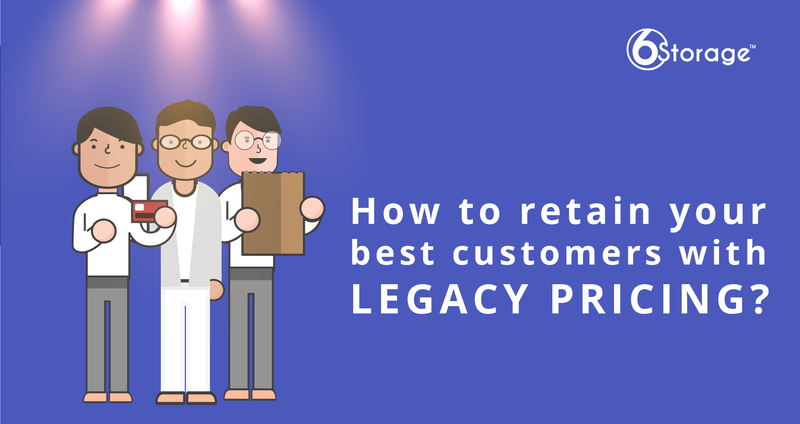 How to retain your best customers with legacy pricing? No one should tell you how to run your business. It's yours and you know best. So consider this article just food for thought. The topic today is Legacy customers. Now, if you built your facility from the ground up you don't have legacy customers. All your customers came to you since you built the business. Personally, I look for distressed storage unit owners who were not using the powerful and efficient 6Storage software and have generally made a mess of their storage unit business, and they need to sell. Which means I have legacy customers. Here is what I chose to do with my legacy customers. I looked at the opportunity cost of raising the rent versus getting initial goodwill and potential referrals. So I have an unofficial grandfather clause for my legacy customers. So long as they are current and remain current, I leave their rates at whatever the previous owner had contracted. I believe the customer see this as a big benefit because some of them are considerably below the market value of their units. However, I also believe the offset for higher rent is more than made up by having consistently paying customers. Now as my legacy customers have moved out I have increased the rent up to the market price in my area for their vacant units. And I have had several legacy customers refer friends and relatives to my facility. In my experience, I've called customers to report a change in ownership only to have them groan “what's my rent going up to?”, and then have them be delighted when I tell them I appreciate Legacy customers and therefore sticking with the business through the change in ownership I'll freeze their rate for as long as they remain a customer in good standing. This buys me a lot of goodwill ( and referrals). The customers feel they are being treated exceptionally fairly, and and I have a very low turnover rate among those units. I believe the trade-off to be well worth the investment. I am not saying that you are wrong if you choose to regularly raise your rent. What I am saying is that you can create an opportunity cost for customers to be disincentivized to move out of your facility by freezing their rent. I have one customer in particular from my legacy group who has since rented an additional 2 units at his original rate. This customer is an exceptionally good payer and I find it beneficial to accept a slightly lower rent than to gamble on new customers who may or may not be great payers. The last bite of food for thought today is that you may want to consider locking in the rate for your current customers. I do this unofficially. I simply raise the rate on new customers when old ones attrite. This provides a similar disincentive I move out but not as strong as my legacy customers. When in doubt contact your attorney. Remember: the primary function of an attorney is to protect you from other people attorneys. How we make it easy? Whatever you choose to do, the 6Storage software makes it easy and efficient to change rates, transfer customers from locker to locker or to move new ones in.